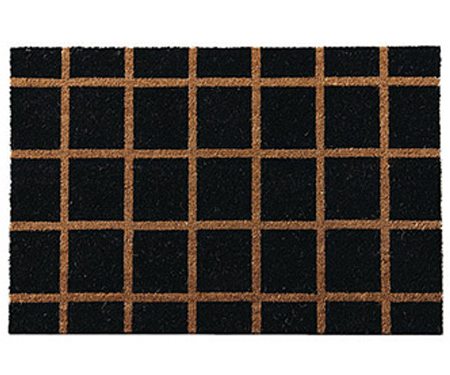 This vinyl backed doormat has a low profile at approx 1.5cm thick. Topped with natural coir fibres it has great scraping properties. Features great contemporary design of a check pattern on a black background. This large sized doormat measures 60cm x 90cm.